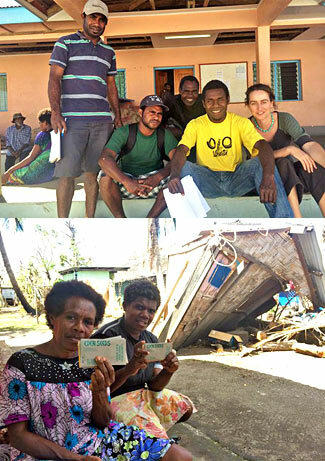 Thank you so much for the generous donation of seeds you made to support the recovery efforts on Tanna Island Vanuatu in the wake of Cyclone Pam. 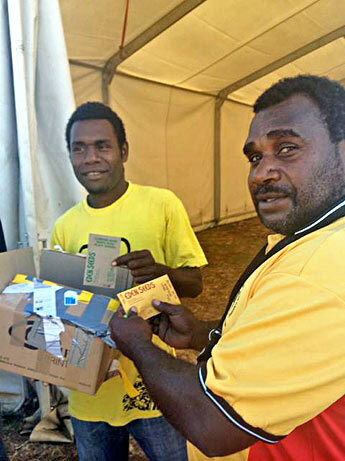 Your seeds have been delivered to my team at the TAFEA Department of Agriculture and Rural Development (DARD) who then distributed them to villages across West and North Tanna where there was a significant shortfall of seeds distributed by the FAO. Excited by having access to open pollinating varieties, the DARD team has also kept a small number to be planted at the DARD Tanna demonstration plot for seed saving and crop trials. Tanna, which has a population of more than 40,000 people, took a direct hit from the category 5 cyclone which severely damaged or destroyed virtually all crops, trees and homes. On Tanna, where more than 90% of people are subsistence farmers it is hard to express the importance of seeds in supporting the recovery and food security of the island. I am attaching a few pictures of the DARD team and seed beneficiaries - please feel to share them. Julia Laidlaw and the TAFEA DARD Team. Over the last couple of months we were inundated with seed orders for Vanuatu so we'd also like to thank everyone who purchased seeds to donate privately as well. It is inspiring to see such huge support at a time of natural disaster.